Note after note, sound after sound, the grand piano echoes my movements, reverberating with the resonance of eighty-eight unique singular noises, all combining and mixing in ways unseen to create whatever piece my heart desires. The pedal squeaks beneath my toe, and the blend is increased to a smooth weave of quieter sounds, the grand piano relaxing as I allow it to slow. My body relaxes, and I am at peace on the piano bench. My eyes close, and I allow my fingers to play on their own, dispelling the last stresses of a long day. A sad, minor sound creeps into the recesses of the humming music as I recall the depressing times of my day, and I feel my hands slide to a higher point on the keys, creating an almost bubbly sound, as I remember my happy moments. My left hand falls deep to the bottom notes and a loud, angry minor sound echoes as I remember my worst moments, yet then I shift back up to a quieter sound, releasing myself into the piano, enjoying the wonderful bliss of nothingness and contentment on the piano bench. I vaguely acknowledge that my dad has come to sit and listen, but I refuse myself the leisure of performing for him. Right now I am not performing, but letting the sounds created by my fingers wash away all my stressed parts and thoughts. Perhaps my father is enjoying the musical cleansing himself, but he cannot have reached full contentment simply by listening. The only way to truly listen is to be on the piano bench. Now a shout breaks the reverie, and my fingers miss a note. The call for dinner slices apart the hum of the keys, and I finally allow my fingers to come to rest. My dad has gotten up and left, yet I cannot leave until the piano is finished. The final sounds echo to silence, flushing the last bits of tension from my body, and I stare for a second into the convex reflection of the polished, hardened wood. Releasing the pedal, I stand, and the piano bench creaks in protest. I know I will return tomorrow. The contentment held for me inside this magical instrument continually draws me back, and there is no way to resist the happiness I enjoy on the piano bench. My oldest son, Casey, wrote the above essay for his college applications last summer. His writing transferred the emotions of “the bench” so well, I hate to add anything here that would subtract from the reader’s ambience. Guest Blogger Casey Brady is a senior at Wake Christian Academy, heading to North Greenville University this fall to study Sports Management (business). 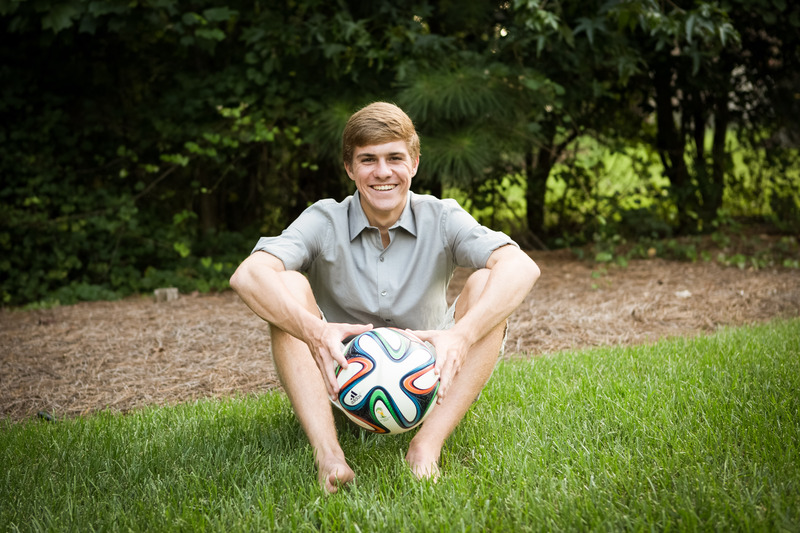 His soccer abilities can been seen on the current North Carolina state champion team, TFCA 96Boys. Though he enjoys music and blesses others through it, he plans to keep it as a hobby as opposed to a profession. 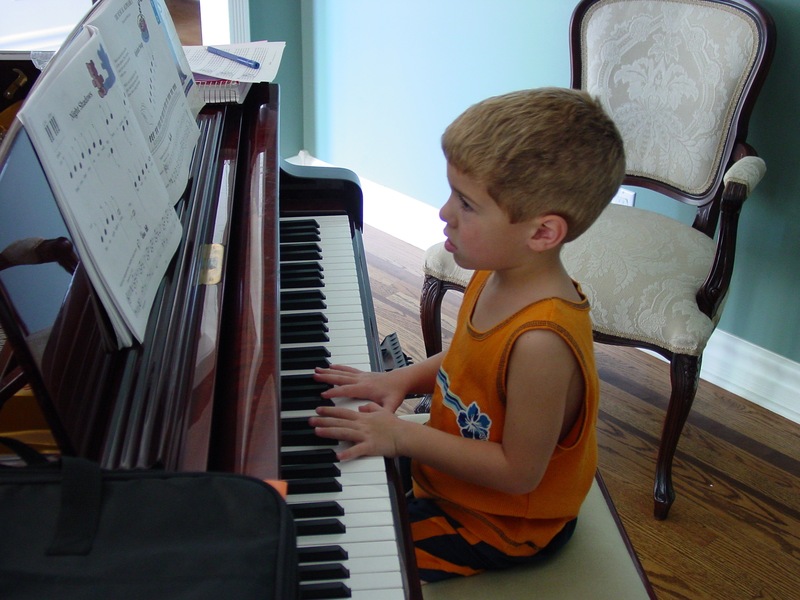 He is a wonderful big brother, piano teacher to the young (including his sister! 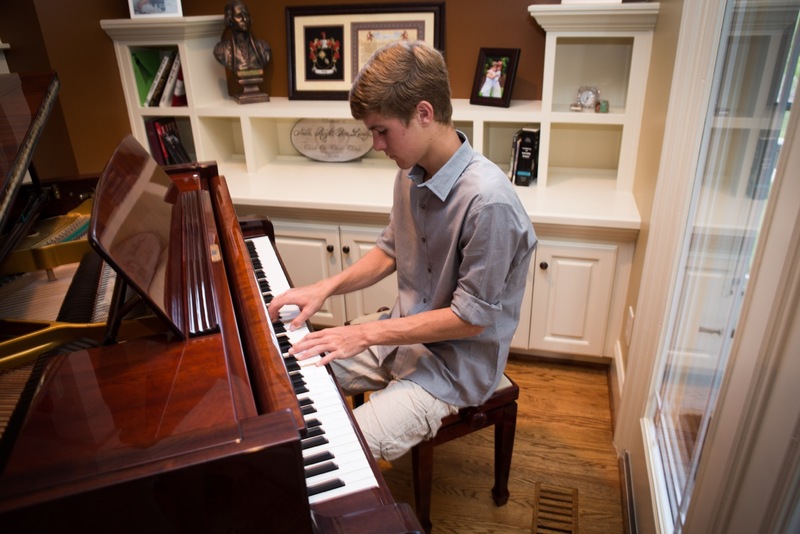 ), friend to many, and recently became a National Merit Scholarship Finalist. I am blessed to call him my son, because of the way he lives out his life verse, Proverbs 1:7. A special thanks to Casey for letting me share his talents! The following video was his last recital with his Michigan teacher four years ago (age 14-ish). My! How he’s grown since then – on and off “the bench”!